Cannabis News Journal : Medical Cannabis Use and What is “Impairment”? During the regular legislative session for 2017 in New Mexico, we saw HB-22, “DUI For Certain Drugs & Interlocks”. HB-22, DUI For Certain Drugs & Interlock, was an arbitrary proposal with the use of metabolite concentration to determine DUI for cannabis (THC, dissolves in fat, whereas alcohol dissolves in water). The proposed law stated a person would get a DUI, “for the active compound in marijuana, delta-9-tetrahydrocannabinol, five nanograms per milliliter of blood” ( 5ng/ml THC). Now in 2018 we see this again as HB 34- DWI BLOOD QUANTUMS & IGNITION INTERLOCKS. For patients in the state’s medical cannabis program, they would potentially be in jeopardy of DUI even without medicating prior to driving due to residual levels of cannabis in a person’s system. When you drink, alcohol spreads through your saliva and breath. It evenly saturates your lungs and blood. Measuring the volume of alcohol in one part of your body can predictably tell you how much is in any other part of your body. Because THC is fat soluble, it moves readily from water environments, like blood, to fatty environments. Fatty tissues, like the brain, act like sponges for the THC. The New Mexico Department of Health Medical Cannabis Program has a 24-Hour Hotline for law enforcement. Only questions from law enforcement are answered on the line. 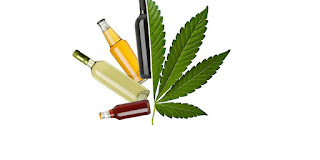 Marilyn Huestis, who headed the chemistry and drug metabolism section at the National Institute on Drug Abuse, conducted a study finding that when a smoker’s blood THC level peaks at 15-18 nanograms per milliliter, that could be just as a dangerous as driving drunk. On, June 27, 2017 – Canadians for Fair Access to Medical Marijuana (CFAMM), a national non-profit organization, released a first-of-its-kind preliminary research review on medical cannabis impaired driving – one of the major public safety concerns stemming from the legalization of non-medical cannabis. Although the federal illegality of both medical and recreational cannabis in the United States makes it a difficult comparison to Canada, it is still worthwhile to explore examples of how individual states have approached impaired driving. Overall, approximately one-third of US states have laws related to THC- impaired driving with policy ranging state-to-state. Sixteen states have zero-tolerance approaches, meaning any detectable level of THC presence results in a charge, and six others have per se laws according to the National Conference of State Legislatures, 2017. States with per se limits, such as Washington and Colorado, have been using blood tests to determine THC levels as a measure of impairment. Both states use a legal threshold of five ng/ml THC of a driver’s blood. However, in Colorado, five ng/ml only triggers a "presumption" of impairment and drivers can challenge this presumption at trial. In other states without per se limits, such as Oregon, Alaska and Washington, D.C., trained observations by police are used to determine impairment. However, medical uses of cannabis have not been reviewed in these contexts. While CNJ is fully against impaired driving and supports responsible driving legislation, the term “impairment” is widely used but is not always clearly defined. When speaking of impairment, crucial to this dialogue is speaking to actual impairment of cognitive, psychomotor, and other functions necessary to safely drive – not simply a measure of previous use such as the presence of THC in blood. Unlike blood alcohol concentration, which is scientifically linked to levels of impairment, matching levels of impairment to levels of THC in one’s system is still widely debated and has not been studied related to medical cannabis use. Although many studies have explored the risk of recreational or occasional use of cannabis related to driving impairment, few have studied the risk related to responsible medical use of cannabis. For most patients, the goal of medical cannabis use is not to experience its psychoactive effects, but rather to treat or manage symptoms of an illness using the smallest effective dose. Although it's a limited example, a past study on the medical use of cannabis (Sativex) for multiple sclerosis identified better driving safety measures after the introduction of cannabis in patients' treatment regimens, suggesting a need for further research on medical users. It is also important to note that U.S. states have recorded an 8-11% drop in overall traffic fatalities one year following the introduction of medical cannabis legislation. Many medically authorized people in both the US and Canada use cannabis daily or near daily to manage symptoms associated with their illness and are expected to follow advice from health care providers. This includes safe-use guidelines, such as waiting 4+ hours after consumption before driving, to help eliminate risk of potential impairment. The metabolism and effects of THC are highly variable from person-to-person and THC can remain detectable within a regular user's blood for days after last consumption. The current laws and proposed laws in many states, which would set a per se cut-off of 5ng/ml THC at the lower end, means even when patients are not impaired, they would have to stop using their medicine for 3 to 7 days before driving. "Although driving is not a right but a privilege, patients who use cannabis responsibly and are not impaired should still be able to drive without risk or fear of being charged. It is necessary for the government to incentivize further research and include considerations for patients using cannabis. While a strict precautionary approach may be appropriate in light of limited evidence, policymakers have a responsibility to both safeguard road safety and balance the rights of medical cannabis patients to ensure they are not unfairly criminalized by drugged driving laws that do not target impairment." Compassionate Use Act in 2007 (Senate Bill 523). • The Department’s objective is to provide patients with safe access to safe medicine. A patient can apply by completing an application. diagnosed with one of the qualifying conditions to become a patient in the program. A valid New Mexico ID. An application is reviewed medically and administratively to ensure all requirements are met. Department of Health does not charge a fee to process patient applications. expiration), general program information, and LNPP contact information. All minors must apply with a caregiver. information and medical provider statement for need of caregiver. Incomplete applications remain pending until applicant submits required information.